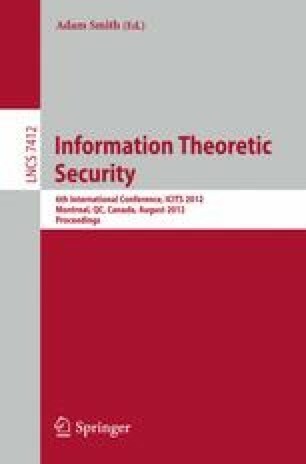 In this paper, we study timed-release cryptography with information-theoretic security. As fundamental cryptographic primitives with information-theoretic security, we can consider key-agreement, encryption, and authentication codes. Therefore, in this paper, we deal with information-theoretic timed-release security for all those primitives. Specifically, we propose models and formalizations of security for information-theoretic timed-release key-agreement, encryption, and authentication codes, and we present constructions of those ones. In particular, information-theoretic timed-release encryption and authentication codes can be constructed from information-theoretic timed-release key-agreement in a generic and simple way. Also, we derive tight lower bounds of sizes of secret-keys and show an optimal construction for information-theoretic timed-release key-agreement. Furthermore, we investigate a relationship of mechanisms between information-theoretic timed-release key-agreement and information-theoretic key-insulated key-agreement. It turns out that there exists a simple algorithm which converts the former into the latter, and vice versa. In the sense, we conclude that these two mechanisms are essentially close.